A lot of people go through their lives with debilitating aches and pains they eventually come to see as normal, but we at Proactive Chiropractic & Sports Medicine believe this does not have to be the case. At our Hermosa Beach center, as well as other locations, we strive to bring patients the healing and wellness they need and deserve, through effective massage therapy. 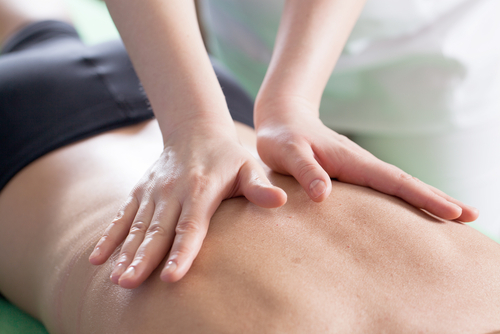 Massage therapy is a proven solution to a variety of aches and pains stemming from strenuous and routine activities. It focuses on relaxing the muscles in the body, so that they can heal the way they are supposed to. Our massage therapists use diverse techniques under different modalities to treat your discomfort and pain, and advise you on how to lead a life free of these and related problems. We work based on what we know about you and your condition, which is why at the beginning, when you first show up at our Hermosa Beach center, we ask for your medical history, and other pertinent details. Then, one of our specialists discusses your issue with you, paying special attention to how it originally came on, and what exacerbates it. After an through evaluation to spot any problematic areas, such as any bad reactions to certain massage stimuli, we proceed to tailor a customized treatment plan and schedule which suit and benefit you. This has worked for everyone who has ever walked in our doors, and we are confident it will work for you. A massage session generally involves the therapist using pressure to knead the muscles on your body, while you lie on a massage table and relax. Your comfort is the prime goal here, which means you get to decide how warm or cool the room is, what music is playing, and even what techniques are used. In short, you are in full control of the way we treat you; all you need to do is lie down and breathe normally, and of course, keep from tensing up. Many of our patients simply let themselves fall asleep, and wake up refreshed after an hour-long massage. We encourage each of our patients to actively participate in every aspect of their massage therapy sessions. As already mentioned, this form of treatment holds a variety of benefits for the person undergoing it, especially if they receive it regularly.